Sanskaras play quite a significant role in proper development of a child and Jaat Karma comes at number four in all the sixteen sansakaras described in Vedas. It is performed on six or after 11 days from the birth of a child and it is considered very important for the purification of the house. Jaat Karma is performed in order to keep a child in an absolutely clean atmosphere where he or she may not incur any physical, mental or spiritual problems. Jaat Karma is also called as Shashthi as goddess Shashthi is the protector of children and conduction of Jaat-karma is further followed with Grah Puja and Homa. Jaat Karma’s Idiosyncrasies • Mantras play significant role in proper development of child • Blessings of respective gods and goddesses • Purifies the house of new born • Provides perfect protection to child Noticeable Benefits of Jaat Karma • Removal of planetary negativities • Channelizes strength, and positivity • Empowerment of new born as per Vedas • Provides a path of constructive growth of child • Continuously showers blessings on child’s life Benefits of Puja Yagya’s Jaat Karma Sansakara • Guaranteed Accuracy in Conduction of Jaat Karma sansakara that showers blessing of responsible gods and goddesses quite effectively • Fully accurate and transparent conduction of all the sansakara either in Online or Offline mode that provides fulfillment to you • Have Pundits and Purohits who are fully aware of Puja Yagya’s Jaat Karma Sansakara because they are Gurukul trained Purohits and with them absolute accuracy during conduction of sansakara is fully assured. 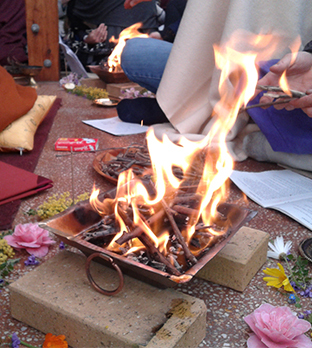 • Puja Yagya is most accommodating and reputed Hindu Puja service provider in United States of America and we conglomerate experience of so many years. The reliable Vedic legacy comprised by us makes us most trusted Puja Service in USA.